It’s a little late in the day, but the day isn’t over so it still counts. 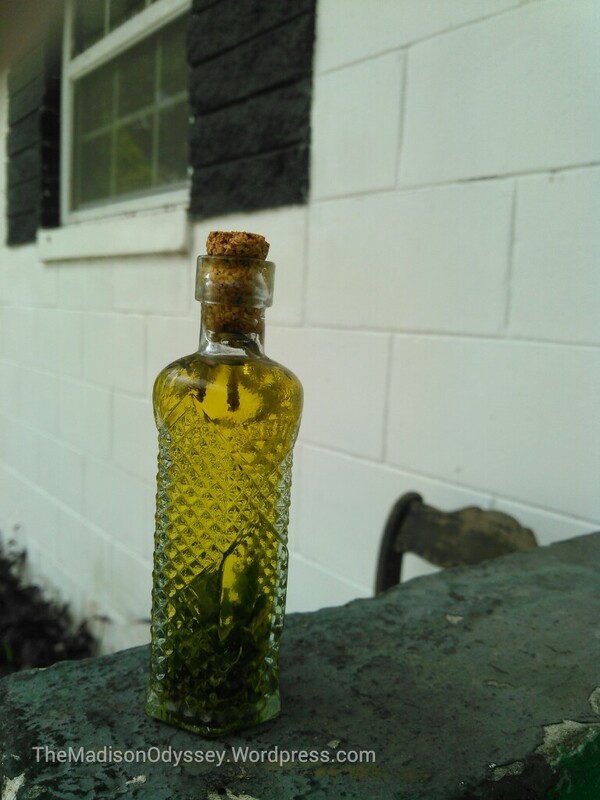 I wanted to share the ritual oil I made for Samhain. I used one of my little bottles I found at Goodwill a couple of weeks ago. For my Samhain ritual I focused on my New year’s resolutions. My main resolution is to work on healing myself so I made my oil to help with that. Even though this is mostly an anointing oil, I still wanted to focus mostly on healing because a lot of my rituals revolve around that. I used Virgin Sunflower Oil, lavender, peppermint (dried from my own garden), a clear quartz, and some tea tree oil. I will post more about what I did on Samhain later. Only had time for a short post tonight.